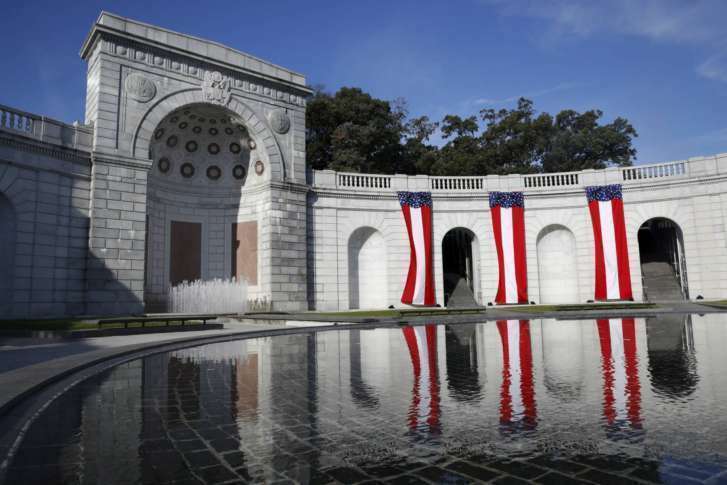 The 33,000 square-foot memorial, known formally as the Women in Military Service for America Memorial, is celebrating its 20th anniversary this weekend with a series of events. ARLINGTON, Va. (AP) — Right next to Arlington National Cemetery, which draws about 4 million visitors a year, is a national memorial to military women. It draws about 200,000 visitors a year. 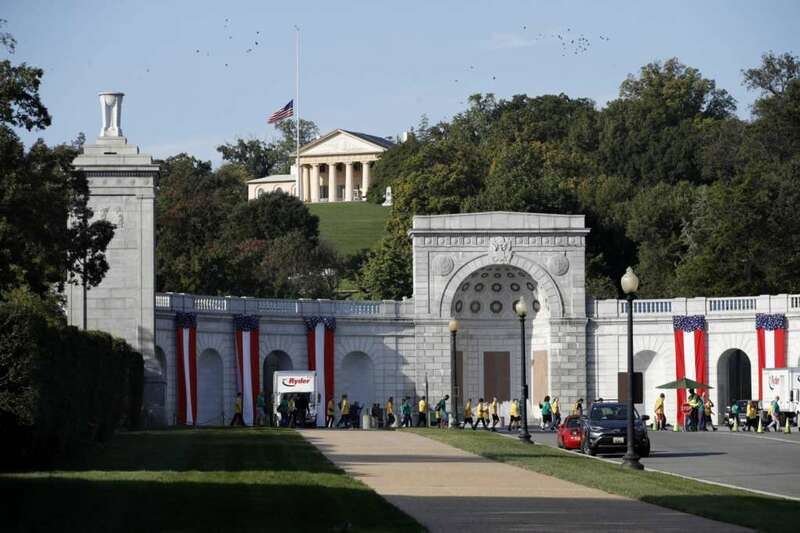 The 33,000 square-foot (3,066 square-meter) memorial, known formally as the Women in Military Service for America Memorial, is celebrating its 20th anniversary this weekend with a series of events. Among those attending events this weekend is Rosemary Bryant Mariner, 64, a retired Navy captain who was one of the first women to earn her wings as a naval aviator in 1974. She’s now a resident scholar at the Center for the Study of War and Society at the University of Tennessee. When she was breaking barriers, she said, feminism was in force and “we thought the doors were going to swing wide open.” Instead, progress has come only in fits and starts. Not until 2016 did then-defense Secretary Ashton Carter remove all restrictions on women’s service in the military, making women eligible for all positions in all branches, including combat and special operations forces. Asked about her thoughts on another potential milestone — a first female Navy SEAL — Mariner said it should be based on an individual’s ability and aptitude. Roughly 3 million women have served in the U.S. military throughout its history, some going back to the Revolutionary War. A goal of the memorial is to have all 3 million included in its official register, a database that includes facts about all of the individual women and their service. “The database is truly our treasure. It’s the heart of our memorial,” said the memorial foundation’s spokeswoman, Marilla Cushman, who retired from the Army as a lieutenant colonel after a 25-year military career. So far, though, only about 269,000 women are registered. Women can register themselves through a form on the memorial’s website. Family members can also register a woman. The registry is not online out of privacy concerns; visitors must come to the memorial to view it. Cushman encouraged all female veterans to register. She said family members light up when they enter the memorial and retrieve information about their loved ones. Conversely, visitors are disappointed when they look up a family member only to find they aren’t included. “It’s their opportunity to take their rightful place in history, and it will be there for generations to come,” she said. Though the memorial is located next to the cemetery, and its Classical Revival architecture makes it blend seamlessly with the cemetery, it is not part of the cemetery. It is actually part of the National Park Service. The Park Service is responsible for maintaining the exterior of the memorial, but a nonprofit foundation is responsible for funding day-to-day operations, including the exhibits in the education center and the registry. Some supporters of the memorial say the challenge is even more stark, and that the memorial, without public funding, faces a real risk of ceasing operations. A fundraising campaign launched late last year by a group called AcademyWomen on fundrazr.com has so far raised more than $110,000. The goal is $1.5 million. Katherine Sharp Landdeck, an associate professor of history at Texas Woman’s University who has researched women’s military history, said the memorial fills a valuable role.